Confirmed participation in: Atlanta; Austin; Baltimore; Broward County, Florida; Beverly Hills, California; Dallas; Detroit; Kansas City, Missouri; Miami-Dade County; Buffalo, New York; Erie County, New York; Oakland, California; Palm Beach County, Florida; Philadelphia, Pittsburgh, San Diego, San Francisco, Seattle and Washington, D.C.
Communities around the U.S. are proclaiming October 2, 2017, “Thurgood Marshall Day” in celebration of the 50th anniversary of the day Marshall was sworn in as the nation’s first African-American Supreme Court justice on October 2, 1967. U.S. states, cities and counties nationwide including Atlanta; Austin; Baltimore; Broward County, Florida; Beverly Hills, California; Dallas; Detroit; Kansas City, Missouri; Miami-Dade County; Oakland, California; Palm Beach County, Florida; Philadelphia, Pittsburgh, San Diego, San Francisco, Seattle and Washington, D.C. have already confirmed their participation. Buffalo, New York and Erie County, New York issued a joint proclamation. Congressional leaders including Rep. Maxine Waters, Rep. Karen Bass, Rep. Nanette Diaz Barragan, Rep. Donald Payne, Jr., Rep. Alcee Hastings and State Senator Bobby Powell have also contributed their support by issuing congressional proclamations to help illuminate Marshall’s legacy on the historically significant day. 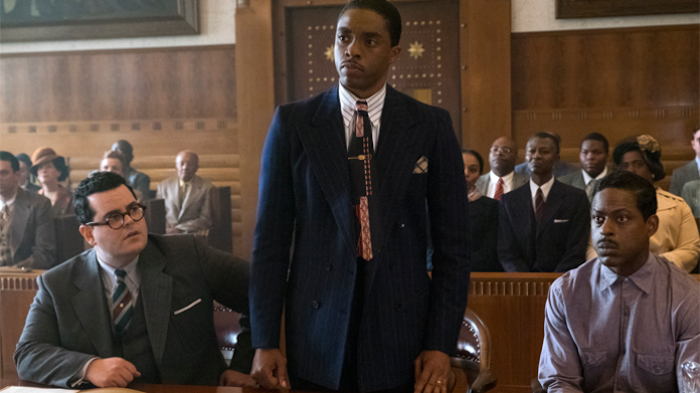 As part of an extensive education outreach campaign to heighten awareness of Thurgood Marshall in classrooms and homeschools across the country, BazanED, a leader in motion picture education, is working with officials ranging from city council members to congressional representatives and mayors to organize the initiative. 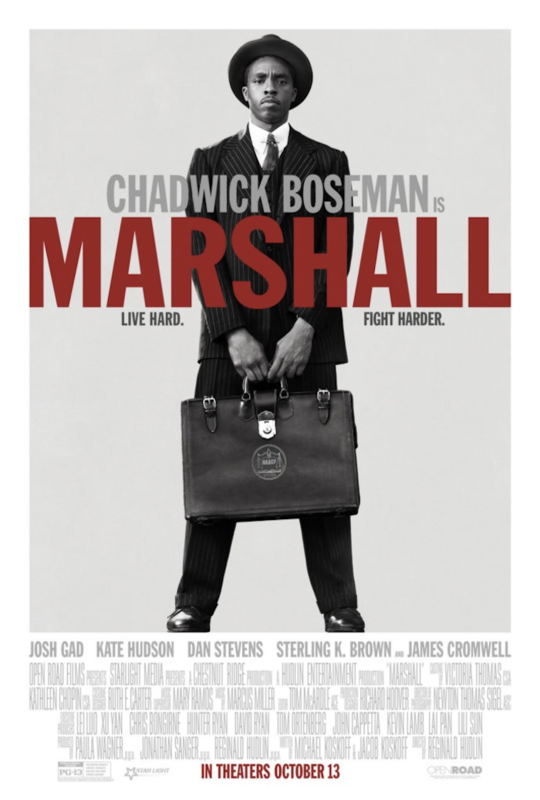 The project is accompanied by a national education program including pre-release screenings of Open Road Films’ Marshall, a major motion picture that chronicles a pivotal case in Marshall’s early law career. In partnership with African American Universities, museums and cultural centers, Open Road Films will provide free pre-release screenings for 11th and 12th graders in seventeen (17) U.S. cities to take place on October 2. Select screenings will be followed by a moderated post-screening discussion with historians, judges, attorneys and more. Open Road Films is also providing bus transportation to all participating schools in need. The student outreach program is accompanied by educational curricula developed by BazanED and available to the education community at BazanED.com. The company has also developed curricula for lower-grade students to encourage school districts across the country to honor Marshall by teaching about his life, times and accomplishments on October 2nd. From his early career as counsel to the NAACP, to his service as U.S. Second Circuit Court of Appeals, and his historical appointments as the first black U.S. 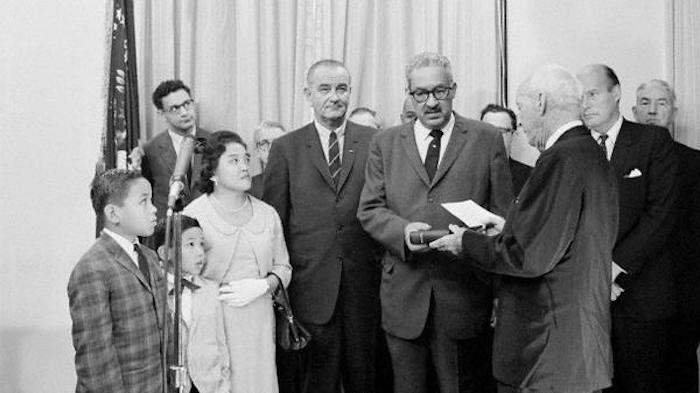 Solicitor General and later Supreme Court justice, Marshall argued and decided cases that dismantled institutionalized racism in myriad forms, and shaped the trajectory of the American Civil Rights movement. As a lawyer, he was instrumental in arguing the landmark Brown v. Board of Education decision, a case that not only cemented his reputation as a preeminent attorney, but became the legal foundation for essential anti-discrimination work for decades to come. Open Road Films will release Marshall on October 13, 2017 nationwide.